A family visiting all the way from Austin Texas showed me once again that home is where ever your people are. The latest arrival to this pack of smooth operators looks like he's gonna fit right in. 3months old and already a charmer, meet baby James here teamed up with his sister and band of cousins. 3 Generations - so many smiling faces! Picking flowers, counting acorns and hunting for fairies. 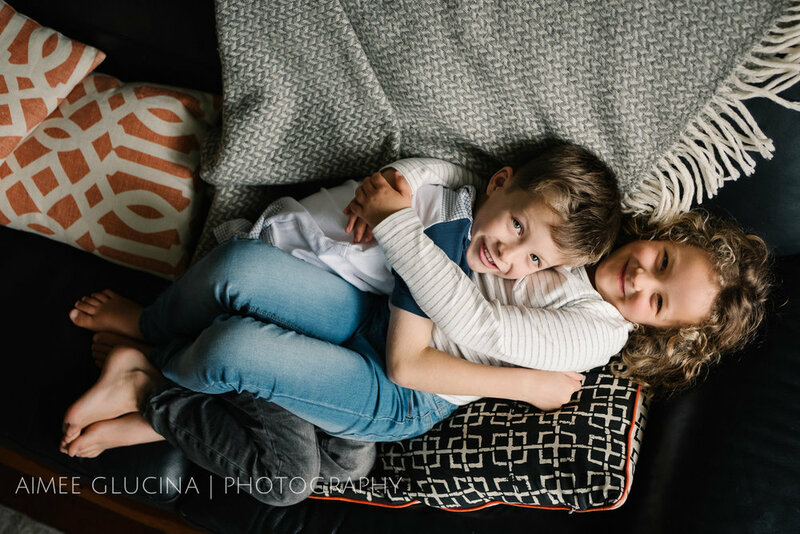 See how I spent the morning with this fun Auckland family. Take one lovely light filled home, one happy family of four and the occasional break for cuddles...and this is what you get!